Company : CDM publishing, llc. POZ is an online HIV website that offers treatment updates and news, a mentoring program, community forums, blogs, social network, and a personal dating forum for people living with HIV and AIDS or people affected by loved ones with HIV and AIDS. POZ also has a magazine that is distributed to organizations and doctors’ offices that discuses treatment issues, prevention, and support. The POZ Personals is an online dating site that has over 150,000 members, and is for HIV positive singles. The POZ Personals is free to join. The basic register on POZ personals requires you to choose a username and a password, then you have to add a valid email address, then POZ will email you the access information. When signing up with the basic registration you will choose a title for your ad, then the type of person you are interested in. You will choose if you are just looking for a friend, date, relationship, or sexual encounters. On the basic registration you will be asked to identify how long you have been HIV positive for, then to describe yourself for others to see. POZ offers several features for their online dating site. They offer a “Catch of the Day”, which is where a few members are selected, then their photos appear on several pages of the POZ website. It doesn’t cost anything to be the “Catch of the Day”. You just agree when you sign up to be a member. POZ also offer a Hot List, which is members that you are interested in are added to your Hot List. Members can also flirt with another member too. POZ takes extreme measures to keep all members personal identification private. No personal information such as your full name, physical address, and email address is not published by POZ. The only way another member would get your email address or any personal information is if a member shares this information with another member. Personal information is needed to register at POZ, but it is not shared. If you need to contact POZ, then they offer customer service phone number, and a ‘contact us’ page. One of the POZ representatives will return your message as soon as possible. If you need to contact POZ urgently, then calling the customer service phone number is recommended. POZ is an excellent STD dating site, community, and forum for any individual that is affected by HIV and/or AIDS. The dating site allows you to meet other individuals with is also affected. 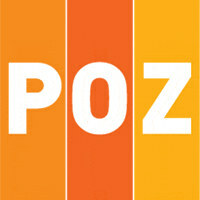 POZ offers support, mentoring, and daily news and treatment updates. POZ is highly recommended as it offers more than just a dating website.